An Overwhelming Experience – Italy – Infinity Illustrated. As time passed by, I realized that it was yet another time for break or rather I would say a refreshing vacation trip. Due to long weekend in April, my husband & I along with another couple decided to visit another country within European Union. But this time it was more of a lavish extended exploration through one of the strong & rich culture among all countries in Europe – Italy. Being the idlest one in the lot, the responsibility for planning & charting out all the major locations to be covered came to me. After all my research & googling, our final trip itinerary ultimately extended to 10 days, which I can vouch was our longest trip ever for any country. Thanks to the Easter holidays and comparatively less workload which eventually helped my husband to bag more leaves during that tenure. Eventually the date arrived & we all were geared to start cruising towards Italy. We boarded our morning flight from Amsterdam to Milan. The flight was rather rough due to bad weather conditions but the exhilarating thought of long vacation overpowered the sickness in no time. We hired a car from Milan airport and headed for the city. 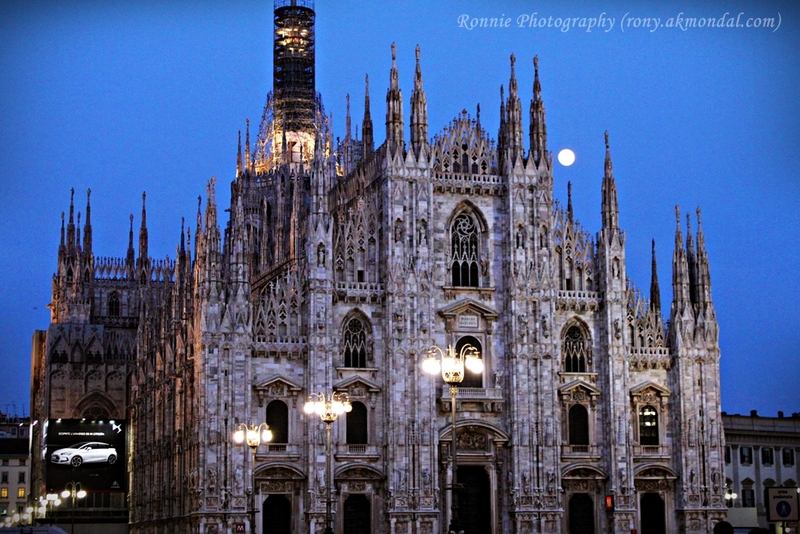 Milan is indeed the capital of Fashion & is heaven for shopping in true sense. Almost all the world famous top-niche brands of every interest have an outlet in this city. You name it and its there. A perfect paradise for shopaholics, especially females. Undoubtedly, it was a big hit for me. We spent the day around Duomo di Milano – the main attraction of the city, did some shopping and headed towards Bellagio. 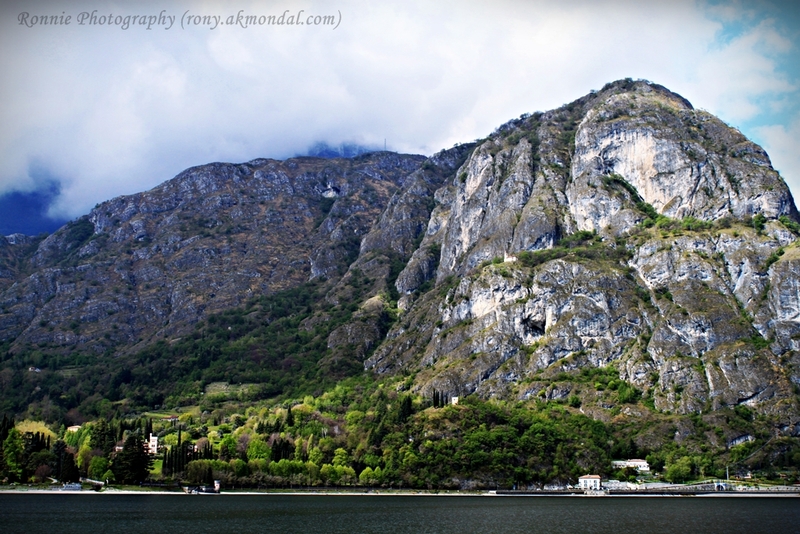 The route to Bellagio was full of sharp turns & tunnels as most of the journey was through hilly areas. The course was certainly both breathtaking & thrilling at the same time because of its stupendous views of Lake Como and risky narrow roads simultaneously. The natives are for sure all accustomed to the roads whereabouts and that’s why doesn’t consider driving a tedious task at all in their day to day routine. The way they drive on those roads clearly proves my belief. But apparently, it was a cause of concern for us. Trust me, for a traveler driving for the first time on such roads is not at all a bed of roses, especially when you have to anticipate the moves of the local drivers. Ultimately after all ups & downs, we arrived at Bellagio. 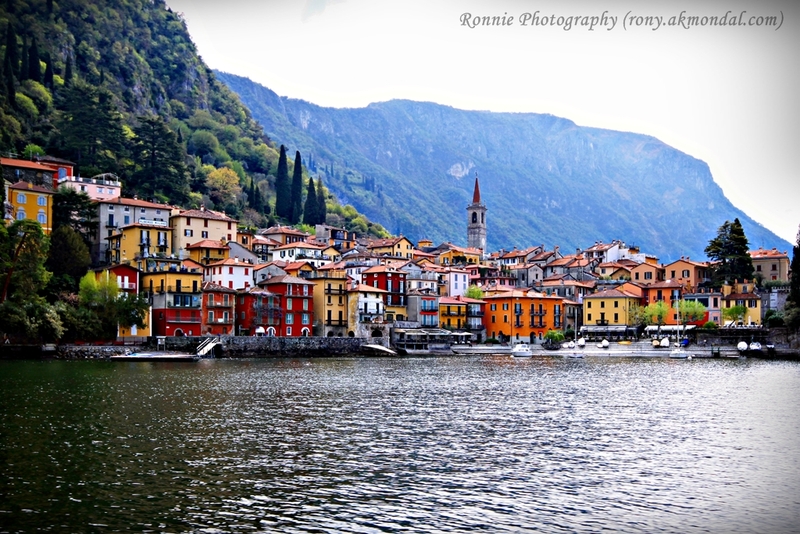 Bellagio – The city is situated at the intersection of the three branches of the Y-shaped Lake Como. 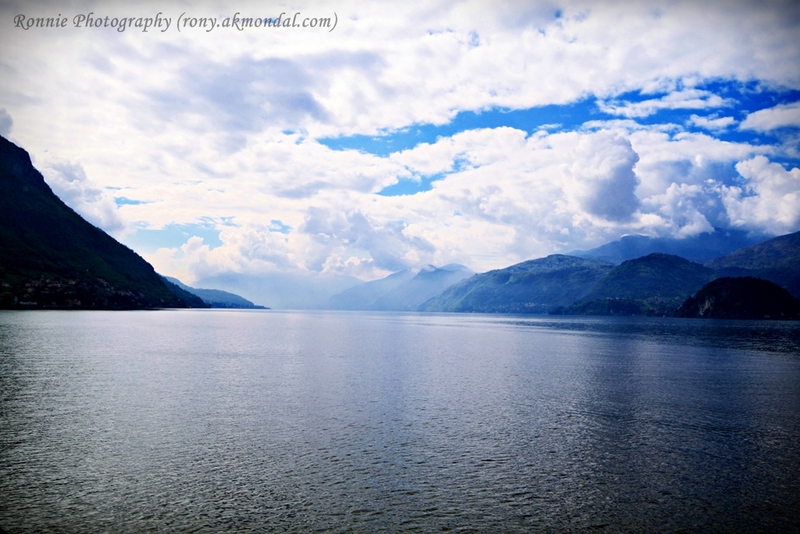 The scenic beauty captures your heart with its ever charming composition of cloud, water & mountains. 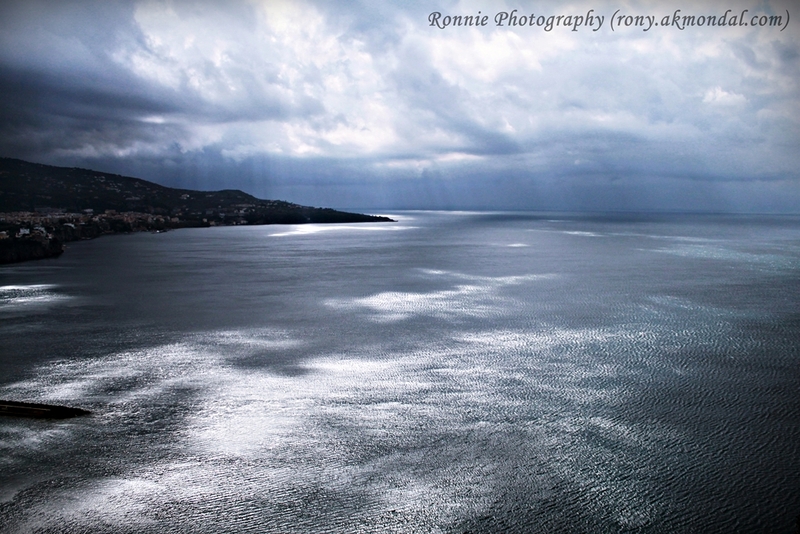 The major part for the credit obviously goes to the dark blue water of Lake. We took a 20 Minutes ferry ride to Varenna from Bellagio and another 15 minutes ride to Menaggio from Varenna with short stopovers at respective places. The tour basically engulfs the three towns situated at three different banks of Lake Como and thus is highly recommended for travellers. 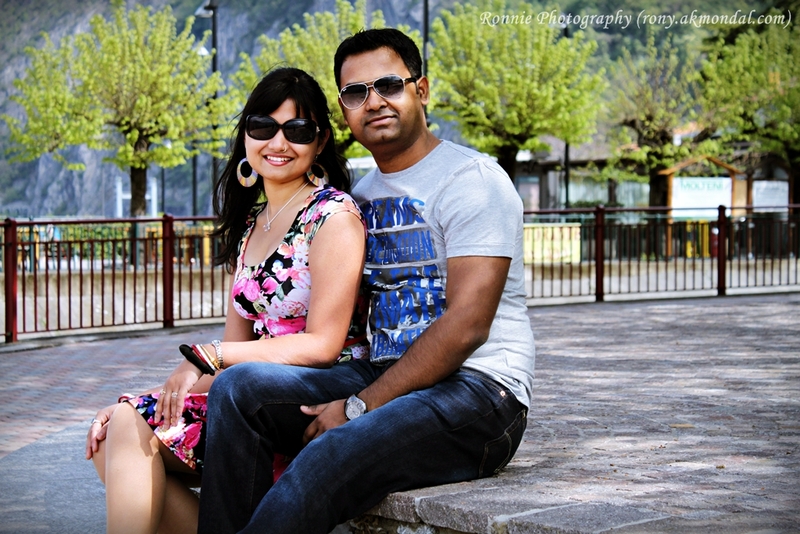 It was almost end of the day and we decided to cruise towards our next destination – Verona. 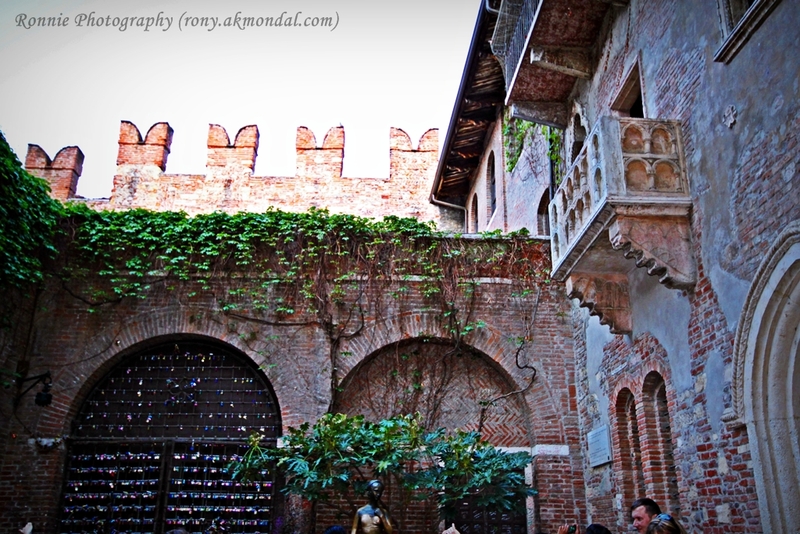 Verona – the name reminds of the famous play by Shakespeare “Romeo-Juliet”. The city is mainly famous for its artistic heritage and some ancient structures. Our third day started with the city tour of the medieval architectures. 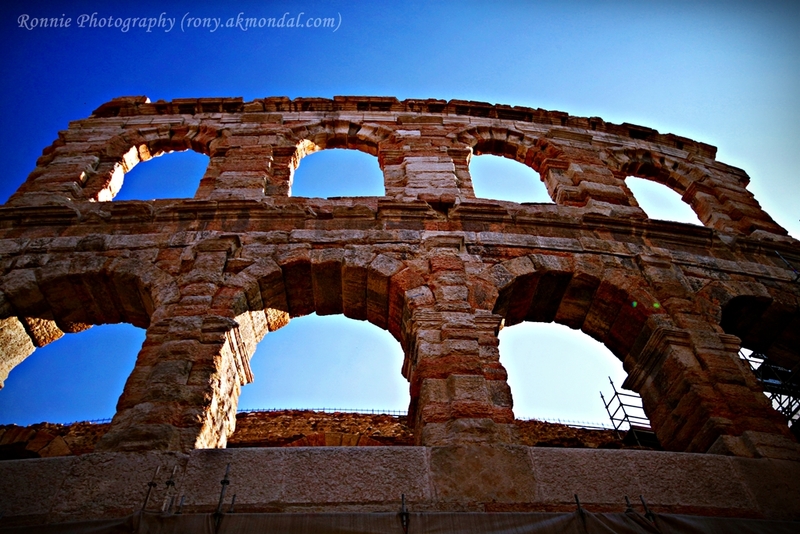 The Verona Arena located at the heart of the city undoubtedly tops the list. The grand structure still holds the ground uptight & is very much impressive. We did some strolling around Piazza dei Signori, Porta Borsari, San Zeno & Juliet’s house. Notably I liked the graffiti at the entrance of Juliet’s house & ofcourse the famous Balcony is indeed a popular hit among tourists. Even the Church San Zeno is said to be the place of marriage for Romeo & Juliet. Overall for me, the Verona tour would be considered as the reminder of the greatest love legend of the History. 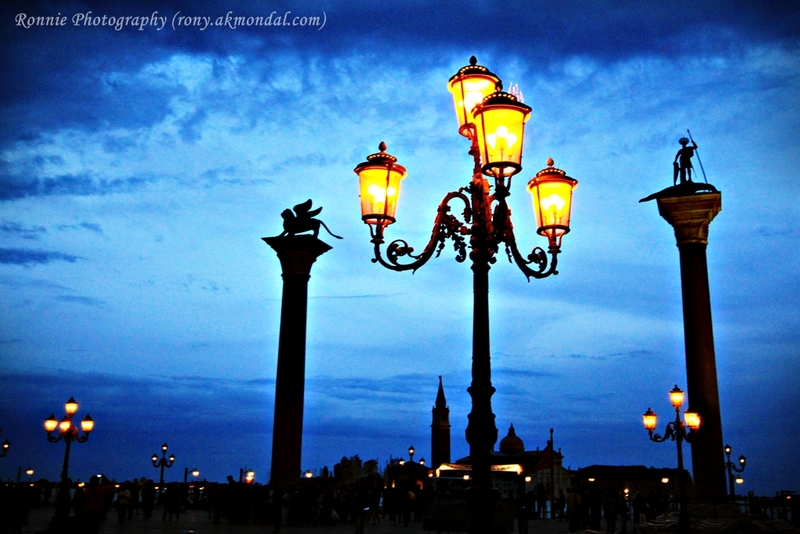 Atlast we wrapped up our Verona tour with the end of the day and began our journey towards Venice. 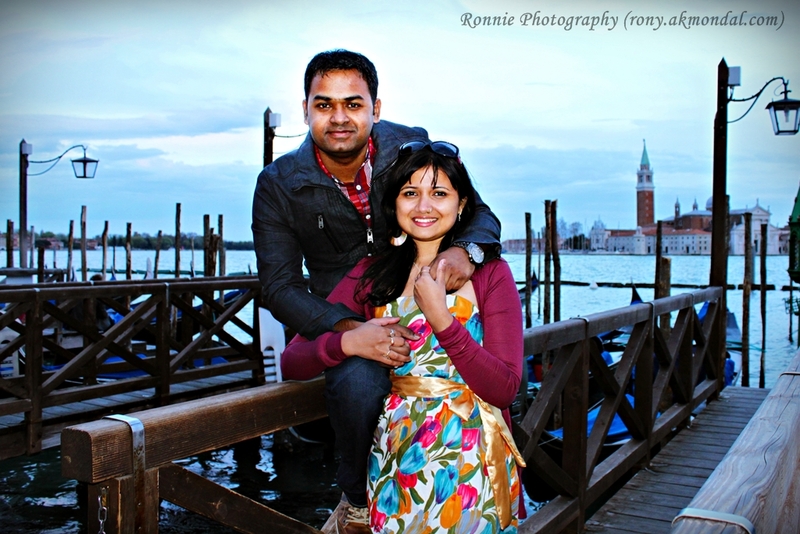 Venice – The Ultimate Romantic destination one must travel. A Place which doesn’t need an introduction and any superlative word isn’t worth to describe its beauty. One can’t imagine its gorgeousness unless one pays a visit. 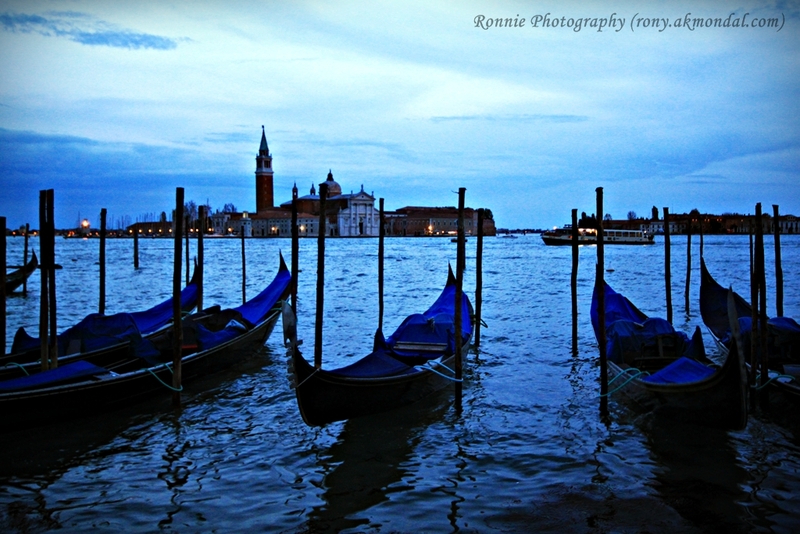 The Grand Canal, Gondola rides, amazing Sunset, Venetian Masks are only to name the few jewels of the city. Even this place isn’t untouched with my childhood Shakespearean fantasy – The Merchant of Venice. Not only this, the Indian cinema has also contributed much to the ado about this place. The famous Amitabh-Zeenat song from the movie “The Great Gambler” – Do Lafzon ki hai Dil ki kahani have also captured the serene beauty of Venice. The city centre St. Mark’s square is the most happening place of all. 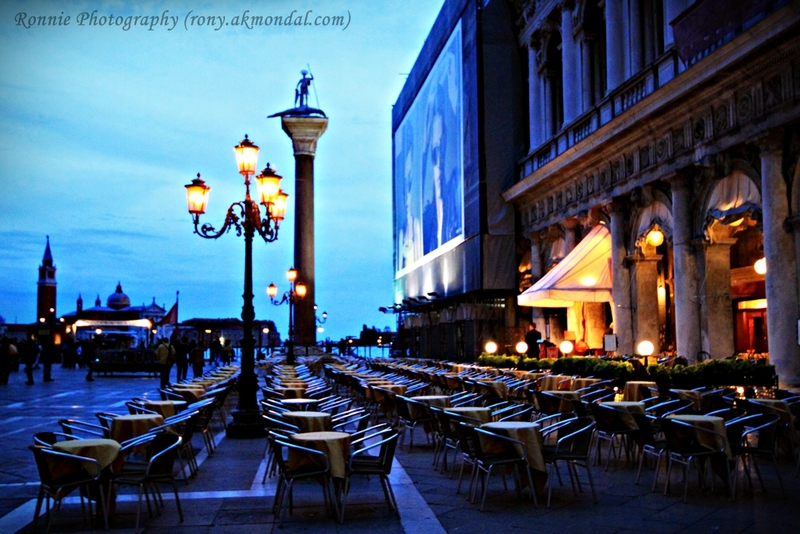 You will always find this place swarming with tourists especially in the evening at the time of Sunset. The stupendous view of Sunset is exhilarating. The fascination of the same can be measured by the number of clicked images of Venice Sunset in most photographic web-sites. Evidently, we were also granted with the honour of capturing that awesome beauty. Moreover, the residing small islands are also a great visit for travellers. 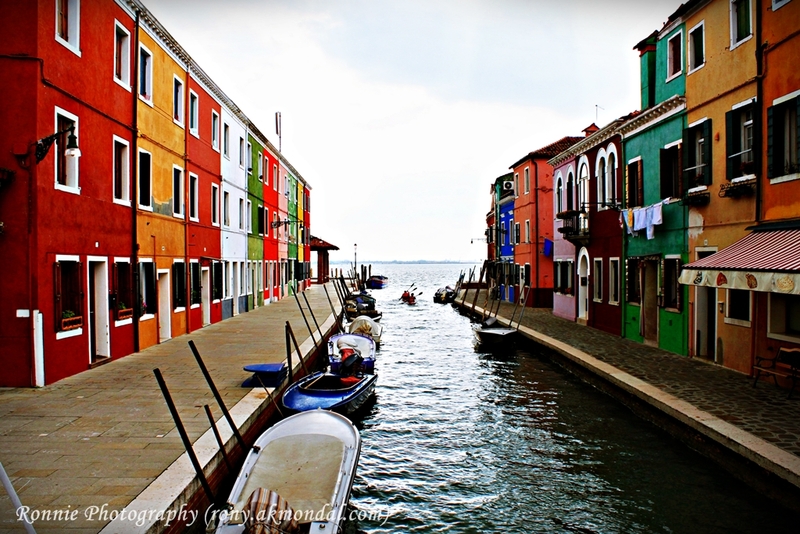 To name a few, we visited Murano & Burano islands. Murano is basically famous for Glassmaking. By developing and refining many technologies, Murano’s glassmakers held a monopoly on high-quality glassmaking for centuries. The whole island is full of glass Factories and shopping outlets to market the same. Needless to say, every outlet is a treat to the eyes. You can gaze through the shops infinitely without getting bored. The dazzling & sparkling glass souvenirs attract you to the core of your heart but beware of extremely high prices. In spite of being so expensive, one can easily find a souvenir with the best fit to one’s pocket as it can range from contemporary glass art, glass jewellery to glass chandeliers and wine stoppers. Even I ended up with three small glass souvenirs. Burano is another feather in the cap. In line to its neighbour Murano, Burano is also famous for Lace Factories. You can find the knitted lace clothes & souvenirs all around the island. However, for me the main attraction of the island is the colourfully painted house all over. I was amazed by the fact that every single house in the town was painted a bright, vibrant colour. And each one was different. There were walkways all along the canals. You can roam around the island and capture different colours of the houses by the sea shore. The whole composition gives a damn picturesque view. We strolled around leisurely & took lot of colourful pictures of the town. Eventually for us, the day has ended. Our fifth day started in Florence. As we drove from Venice to Florence, the day started a little late for us. Indeed the journey was quite tiring, but the view of the destination was enough for us to overcome our exhaustion. Trust me; I have never imagined a city so beautiful. Since we already drove down so long, we decided to roam around the city through ‘HOP-ON HOP-OFF’ sightseeing bus. 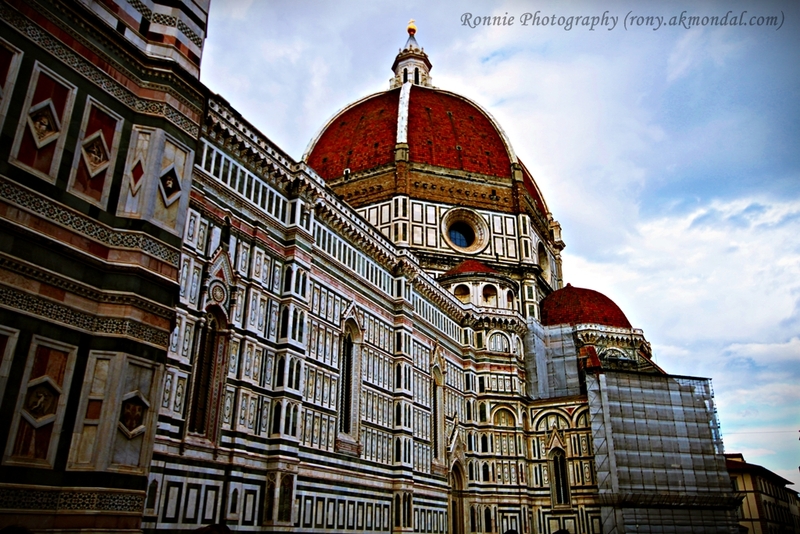 Florence is said to be one of the richest city of ancient times. Since the city is a World Heritage Site declared by UNESCO, it’s one of the most visited tourists Destination in the world. Indeed, the city obviously worth it. The hit spot Michelangelo stole the show. From here one can witness the panoramic view of whole city which inevitably is a absolute spectacle. This place fascinated us so much that even after the bus tour, we again drove all the way long to have some more leisure time there. One can witness the fine Mansions and the lavished money spent on public buildings & churches all over the city. 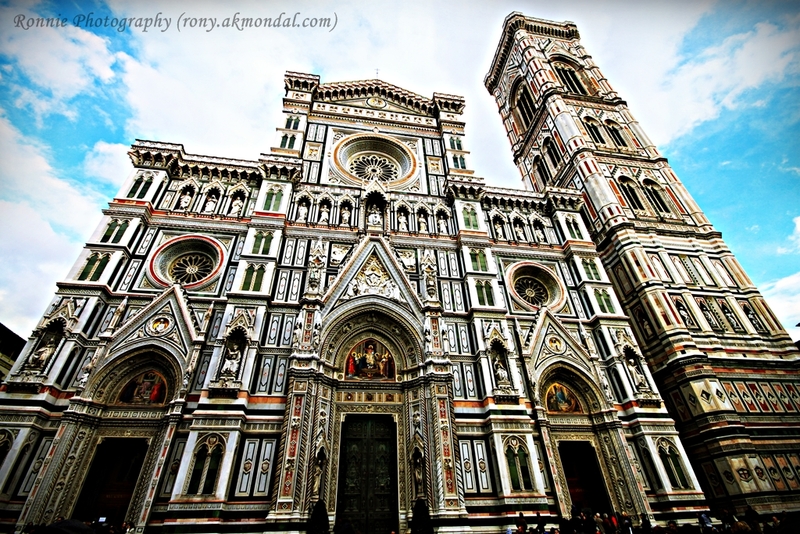 Moreover, the city’s flaunting of power and wealth can still be testified by the majesty of renaissance churches, the gothic domes and Romanesque baptistery. The city also outshine in its artistic prowess. The world famous Art galleries & museums still rule the art galore across the continents. 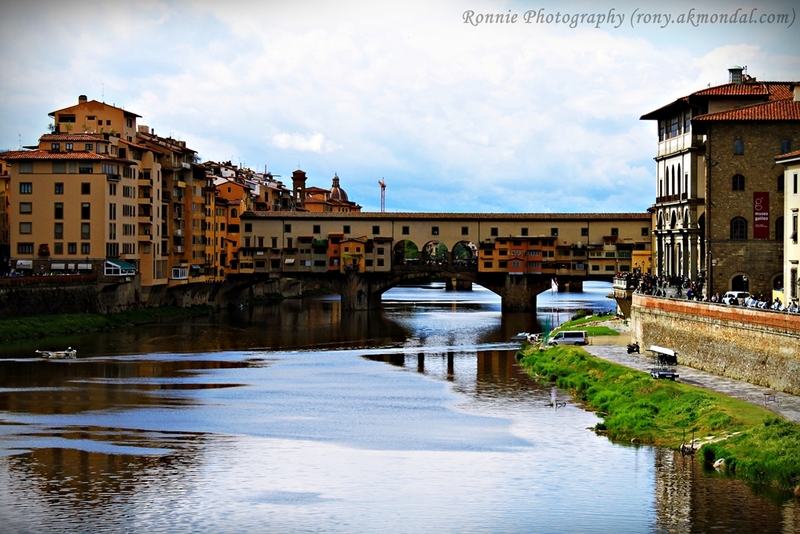 Santa Maria cathedral, Uffizi Gallery and Ponte Vecchio are few to name. In addition to Florence, we also got some time to roam around a nearby small town Fiesole. It’s not as big and advanced as its neighbour, but has certainly borrowed the picturesque surroundings from the latter to cultivate it in a beautiful & planned way. The further venture landed us to our next stop – Pisa. Like Venice, Pisa also doesn’t require any introduction. 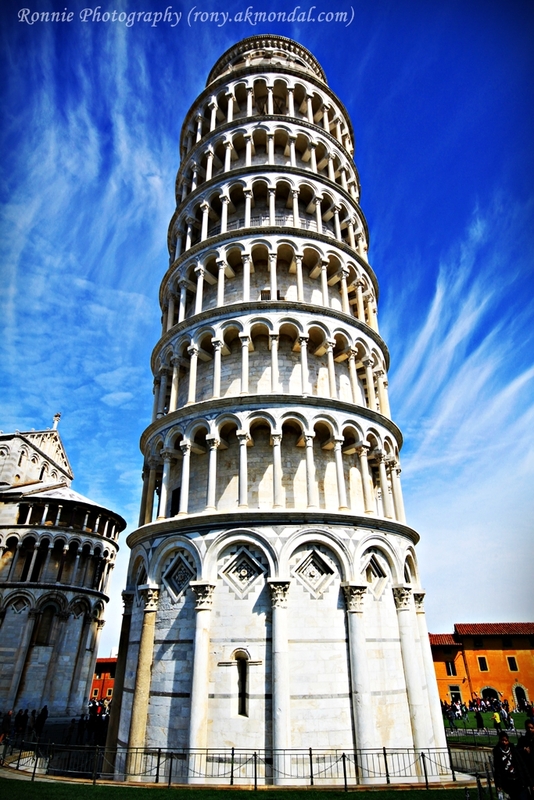 Pisa’s constant appearance in the 7 wonders of the world itself speaks for its glory & praise. The much acclaimed Leaning Tower of Pisa was an amazing experience ever. May be the excitement was more to have covered another wonder after Taj Mahal & Eiffel Tower. At times you never know whether the place excites you more or the count. But something inside me apparently gave the preference to the count. Nevertheless, the cathedral square does makes your heart pounding with excitement by its mesmerising grand architectures. We spent our time admiring the Pisa tower, Cathedral & Baptistry and then left for Vatican. Vatican – The smallest Country in the world by population & Area. 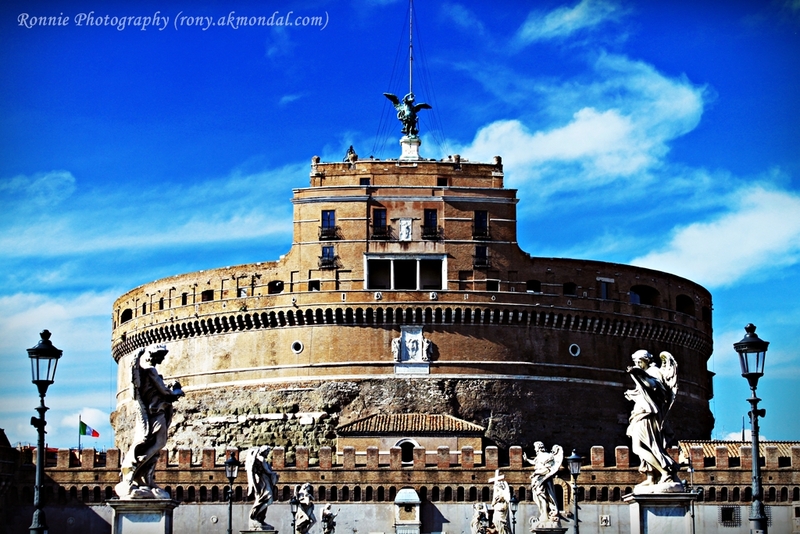 The country or rather I would say the city enclaves within the capital city of Italy, Rome. Each year millions of tourists and pilgrims visit the Vatican Museums and Saint Peter’s Basilica, and many more spend time around the huge Saint Peter’s Square. 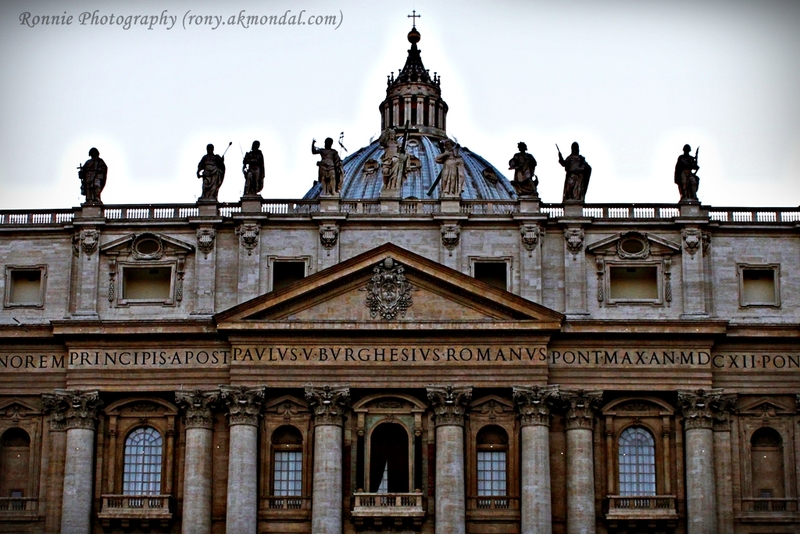 It is the centre of the Catholic Church, home of its Popes and popular pilgrimage spot of devotees. The dome of Saint Peter’s Basilica can pretty much be seen from all around the Vatican City, and the surrounding area in Rome. 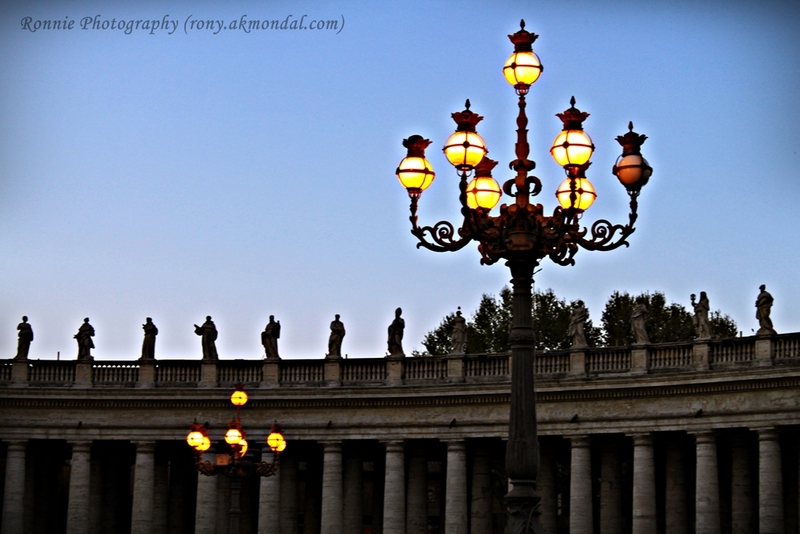 The majestic grandeur of the St. Peters square is regarded as one of the best of its kind. The seventh day of our tour started in Rome. Rome is all we imagined and more. We were very much in awe of all the history and the efforts the Italians have made to preserve it truly make it extremely accessible to the people. Trust me, I mean each & every word of it. The rich culture of the city would loudly speak for itself. It’s not only the art, heritage and culture but the sustainability to survive through centuries. The city is home to some of the greatest treasures and buildings that mankind has created. The Grand structures and architectures profess the eminence & splendour of Roman Empires. I had seen the pictures of Rome on internet before and had a notion of a city only with ancient architectural remains. But much to my surprise, the city is as beautiful as anyone can imagine. The capital city actually stands out to its glory making it outstanding & magnificent. 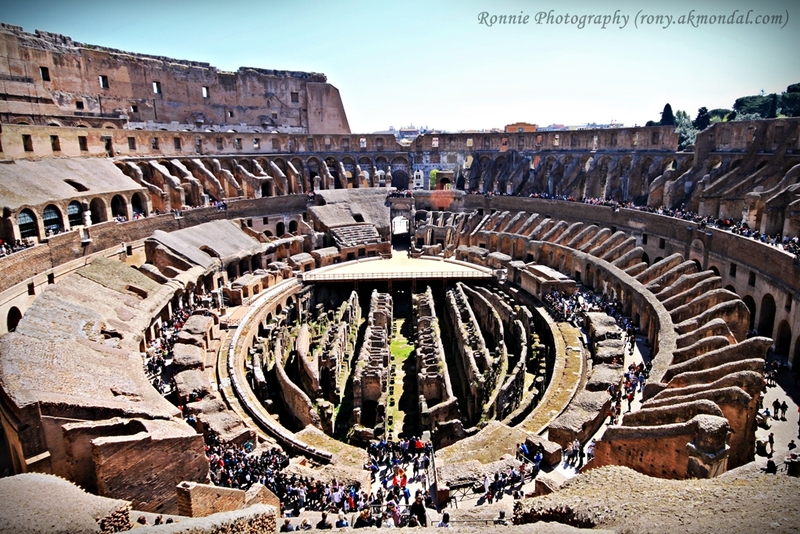 The famous landmark of Rome in my mind is Colosseum. It’s an architectural masterpiece and hats off to the authorities for preserving it with so due care. This place reminds me of Hollywood movie ‘Gladiator’ and for once all the characters and respective scenes started floating in front of my eyes. No wonder, this magnificent structure does amaze you with its striking history. We hired a guide for our colosseum tour who introduced us to every corner and its related significant past of this amphitheatre. 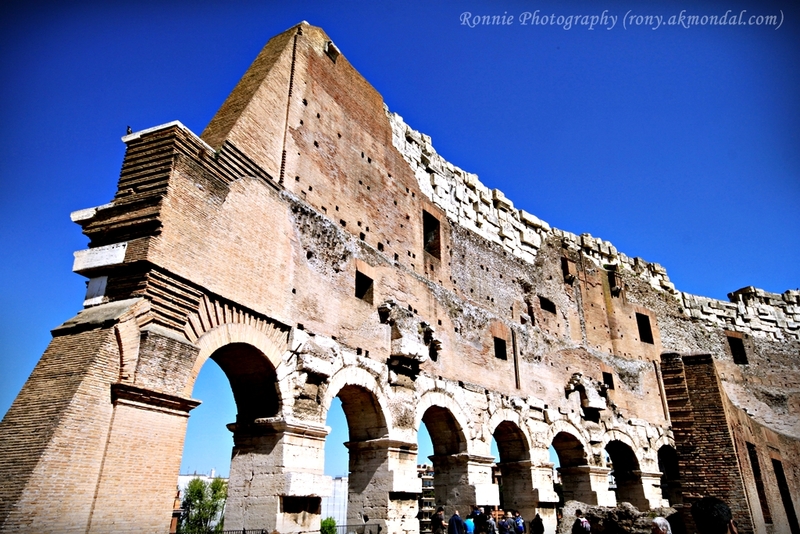 The Roman Forum adjacent to Colosseum, also stands out with antique ruins & remains. 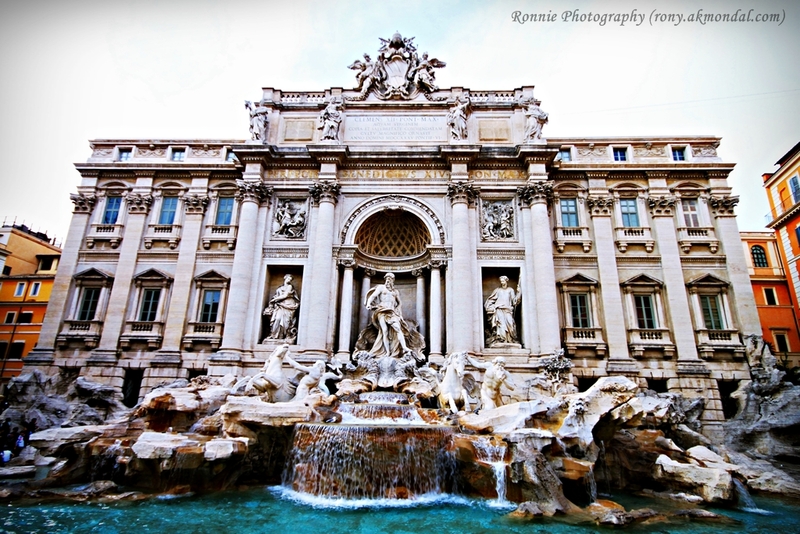 Another famous one in the list is Trevi Fountain. This spectacular fountain is a gem among all of its kind. The sculptures and vivid blue water does certainly make it the city’s most exuberant fountain. One can easily fall in love with it. I was even more excited in the ritual of throwing a coin into it. It is said that the ritualistic act of throwing a coin ensures the traveller’s return to the city Rome. Perhaps the return of a traveller is obvious not because of the coin but the charm and prominence of the city. In that case Rome has countless number of ancient architectural heritages. 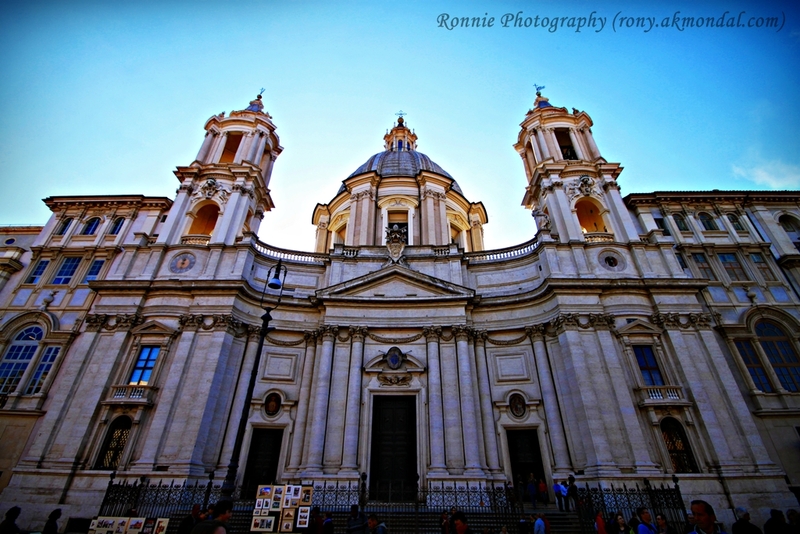 Few more in line with the same are St. Angelo Castle, Piazza di Navona, Pantheon, Piazza di Spagna (Spanish steps), Cathedral of St. John Lateran etc. Each one of them is unique in their own way and worth every single penny of it. The day almost came to the halt and indeed was very tiring. 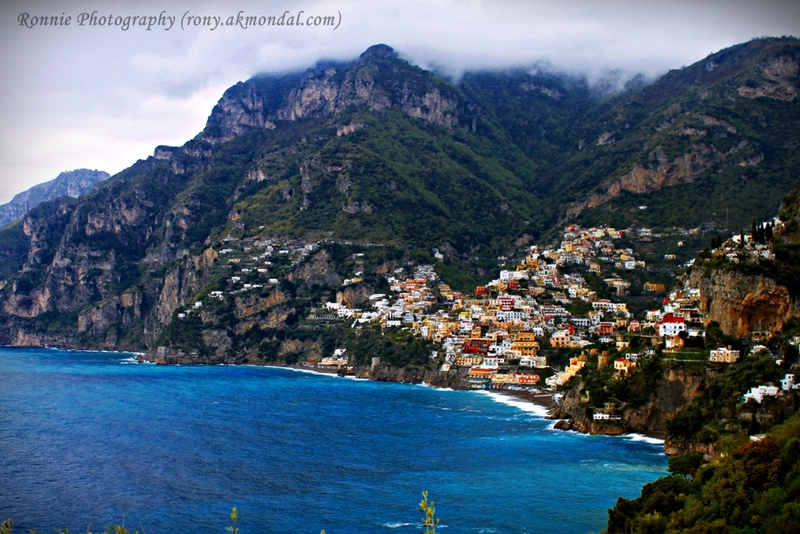 The next day started with a long drive towards Amalfi coast. 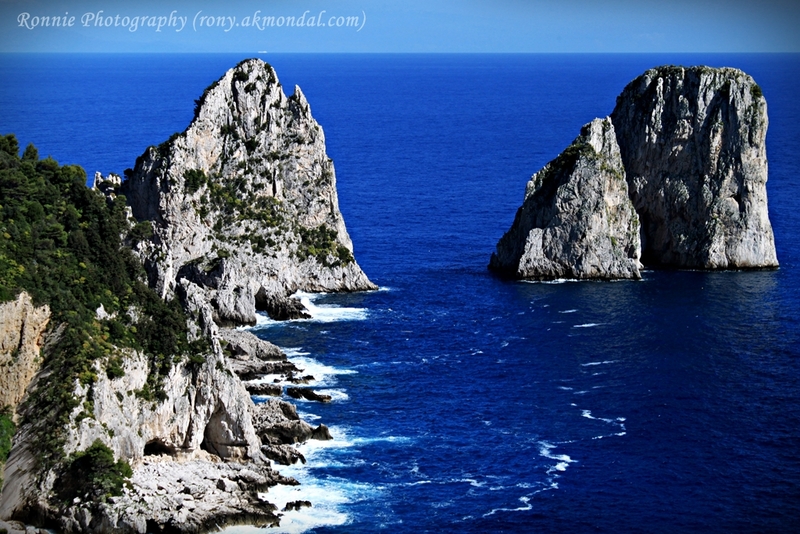 Another UNESCO world heritage site with a breathtaking stretched southernmost coast-line along Sorrentine Peninsula. A splendid view of secluded bays & deep down gorges, strings of spectacular terraced houses with scented lemon grooves wedged between the blue of sky & sea. Every moment during our car drive along the route is memorable. Although the drive was equally thrilling owing to drop dead 500 foot high cliffs. This is one of those extra ordinary scenic beauties which is sufficient to make your heart content for lifelong. That day was a pretty relaxed compared to the exhaustive tour of Rome, at least for those who were not in driver’s seat. Thanks to the guys for taking that pain. 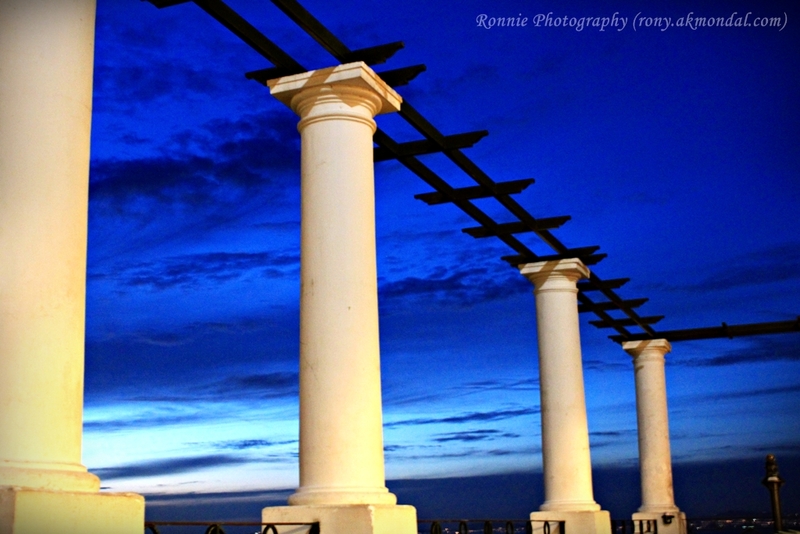 Nevertheless, we returned to our hotel at twilight to commence our journey to the final destination Capri. The ninth day has finally arrived. 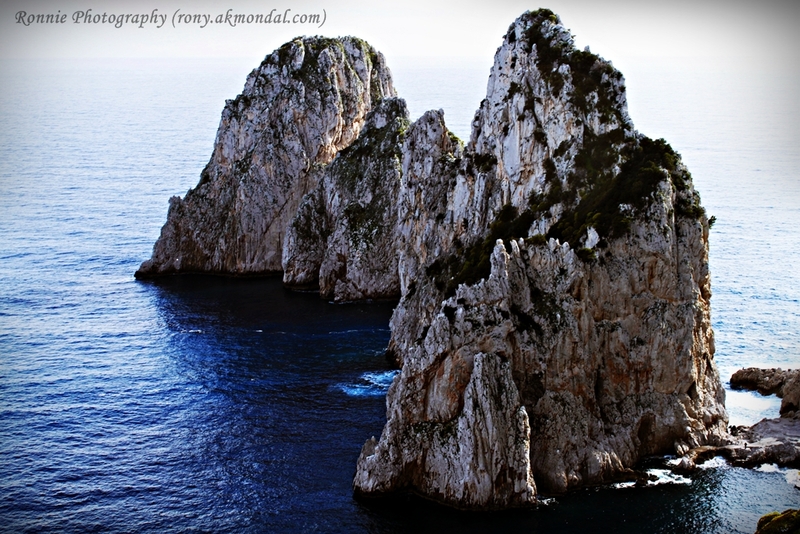 We took a morning ferry from Naples to Capri and must say, it was one of the most pathetic rides I have ever taken. Well, it was not sea sickness but the credit goes to the high tides of sea. It was one of those unfortunate days where not only the passengers, but also the crew members of the ship were puking and sick. That unpleasant 2 hours was one hell of a ride. However the instant we came to the shore, the view of the port mesmerised us. Almost immediately excitement crept within us & overpowered that disgusted ill feeling. It was all perfect – the ideal composition of all the necessary ingredients namely mountains, cliffs, greenery, sea, shores, sky & clouds. With its reputation as an enchanting jet-setter destination, the isle is a tiny paradise in the Mediterranean. Who else can ask for more? It is a small town with full of glamour, ritzy shopping, gorgeous landscapes and uninterrupted leisure. As far as shopping is concerned, this small island gives a strong competition to Milan. One can find all top brands like Gucci, Prada, Louis Vuitton, Ferragamo, Dior, Bulgari, Tod’s, Cartier, Valentino, Dolce & Gabbana…. all very stylish & highly expensive. Overall, this incredible romantic vacation spot is a must visit place which left my heart behind with numerous enchanted memories of this tiny little paradise. 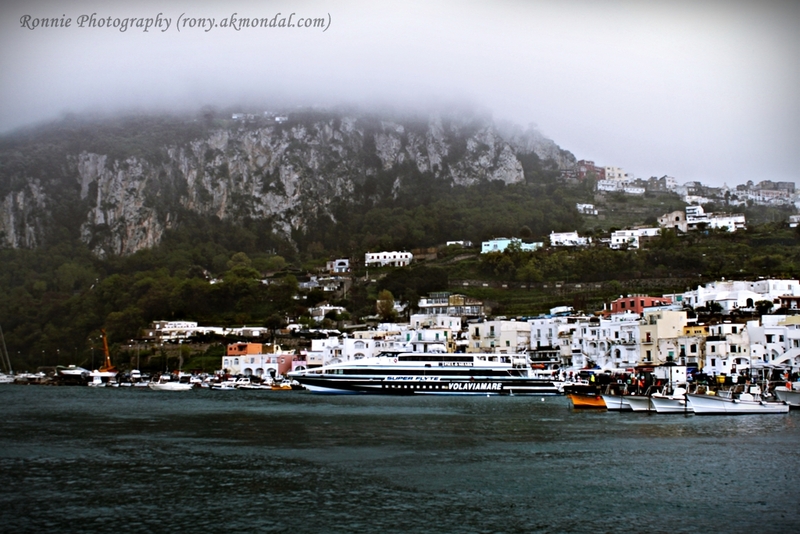 Finally our time in Capri was over and next day morning we got back on the ferry to Naples. We had an afternoon flight from Naples to Amsterdam. Passing the short ride in admiration of the views of endless sea, I couldn’t help but feel a little bad for adieuing this remarkable journey. All the actions & moments from past nine days recollected in my mind leaving me nostalgic. But at the same time, the joy of returning home excused the situation normalising my mood back on track. But then again, the magic is not over. The charm is still there enough to take me back again to those distances. Next story A Ray of Hope or Despair?